Desiigner was arrested Thursday night in Manhattan after cops pulled him over following a road range incident, apparently having found a bunch of loose pills rolling around in the center console of the car he was riding in. According to TMZ, the rapper was driving in an SUV with four other people when they got into a screaming match with the occupants of another vehicle. The driver of that car called 911 and told dispatchers that Desiigner had pulled a gun on them. Desiigner and his car took off, but cops tracked them down a short time later, and a search of the car revealed “a large quantity of loose pills,” reportedly including Oxycontin, methadone and steroids. 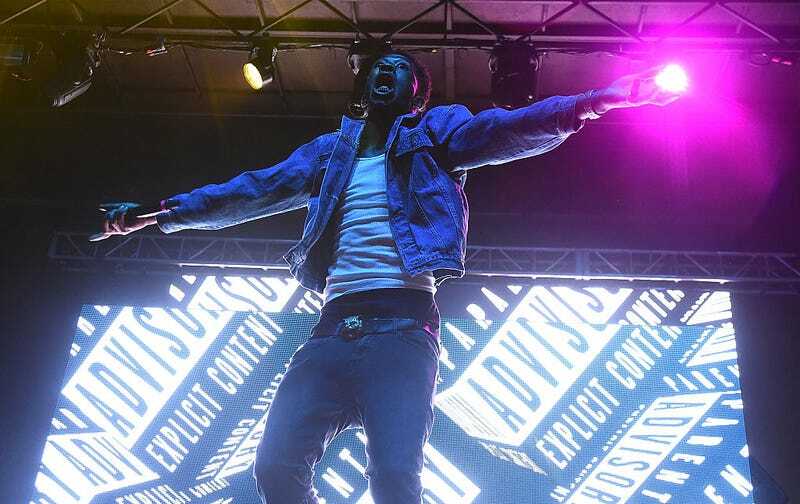 All five were arrested and charged with criminal possession of a controlled substance and criminal possession of drugs with intent to sell, with Desiigner initially also charged with felony criminal possession of a loaded weapon and menacing. Law enforcement tells TMZ, they cased the SUV in which the “Panda” rapper was a passenger, but found no gun. The arrest for felony possession of a loaded gun was based on what the driver of another car told cops, but the D.A. clearly felt that wasn’t enough. Some people keep desktop zen gardens to calm their frazzled nerves, but I have this soothing video of Iggy Azalea riding a horse. “Stay tall...elbows in...” a disembodied lady’s voice instructs gently, and I find myself heeding her advice from my blogger’s perch (bed). Azalea is decompressing in Calabasas with her horses following a trip to Cabo, to which she traveled on a private jet paid for by French Montana. Nice work if you can get it.